Interested in offering ASHA CEUs for your activity? Please read to the end of this page before deciding to seek ASHA CEUs through SHAA. 1. Apply with SHAA using the "CEU Application" Form from the following link (updated April 2019): CEU Application in PDF. Send paperwork to Gary Copeland, the ASHA CE Administrator for SHAA. He will review all aspects of the event, helping you plan as needed. The preliminary paperwork can be handled via email, fax, and/or mail. 2. You will receive a box of materials for use at the event. Make sure that the participants complete the paperwork. 3. Send the box back to Gary within 2 weeks following the event. If you wish to conduct your event in cooperation with SHAA (as one method for offering ASHA CEUs), you must abide by all of SHAA's requirements, all detailed on the Application. SHAA reserves the right as an ASHA Continuing Education Provider to decline requests for offering ASHA CEUs. In such a case, you can contact ASHA to explore other options. Allow 6-8 weeks prior to the event for processing. Pertinent materials are sent to ASHA regarding your event 30 days before the event, and Gary needs time to review the activity, prepare several documents and mail the materials. Return all CE materials within two weeks after the event. Gary must process the bubble sheets, fill out another form, and send to ASHA on a deadline. $400 per "activity": $325 to ASHA (valid through 2019); $75 to SHAA as an administrative fee. If participants can register for any part of your event separately, then each of the separate parts is considered a separate activity, and both the ASHA fees and SHAA fees must be paid for each. Example: Day 1 is a preconference with separate registration fees; Days 2 & 3 are the main conference, with a separate registration fee. Even if someone may get a discount for registering for both the preconference and the conference together, these are still considered to be two activities. ASHA fees would be $325 for each, and SHAA fees would be $75 for each, for a total of $800. If you miss an ASHA deadline, you will be responsible for any late fees that ASHA may impose. There is a $100 penalty for the first offense (within one calendar year), and a $300 penalty for the second offense. 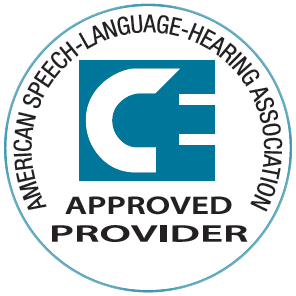 Note that ASHA considers SHAA to be the CE provider. Therefore, even though it may be your first time to be late with the paperwork, it may be SHAA's second time (e.g., because another entity was late earlier in the year), meaning that the penalty to you would be $300. SHAA reserves the right to act in its own interest, even if that means declining to continue working with an event host or submitting incomplete records to ASHA in order to meet their deadlines. In such extreme cases, no refunds will be made, and the event host bears full responsibility for attendees potentially not having their CE time logged in the ASHA CE Registry. Bottom line? Meet the deadlines, and there will be no penalties at all (and a whole lot fewer headaches for all of us)! If you reschedule an activity after SHAA's CE Administrator has registered it with ASHA, SHAA's $75 administrative fee may be charged again to cover additional copying and mailing expenses. ASHA's fee only has to be paid once in such cases. Attendees may always track their own time, even if attending an event offered for ASHA CEUs. Question: Who is eligible to earn ASHA CEUs?